Here are the picks for Eastern Track's Athletes of the Year. 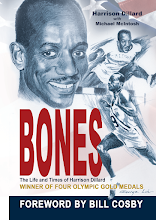 Athletes representing schools from Maine to Virginia were considered, as well as those collegians who attned schools that are outside E.T. 's geographic region, but are active members of the IC4A/ECAC. 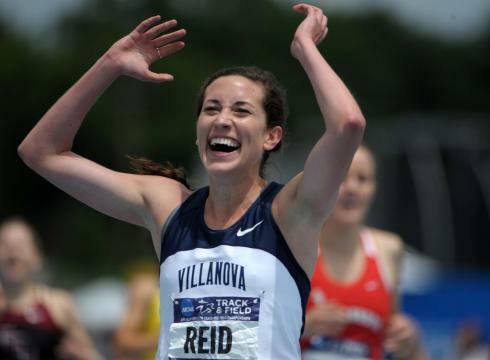 Sheila Reid won the NCAA Div.I Cross-Country title in the fall, anchored Villanova to a win in the DMR at the Indoor NCs (and finished 2nd in the 3000), and scored a historic double by winning both the 1500 and 5000 at the Outdoor NCs. Now a senior, Reid is the 7th woman from Villanova to be named E.T.’s AOY (the first since Carrie Tollefson was so named in 1999). Duke’s Juliet Bottorff was the NCAA Champion at 10,000-meters and the ECAC Champion at 3000-meters. Chelsea Carrier, West Virginia’s all-around talent, won three Big East outdoor titles(100h, 400h, LJ) and was 5th in the NCAA Pentathlon and 3rd in the NCAA Heptathlon. Virginia Tech’s Dorotea Habazin won the hammer throw at the NCAA Championships. Stony Brook’s Lucy Van Dalen was 3rd in the NCAA 3000(i) and 2nd in the 1500. Katie Van Buskirk was 2nd in the NCAA mile(i) and anchored Duke to victory in the 4x800 at the Penn Relays. Iona’s Leonard Korir and Liberty’s Sam Chelanga raced against each other five times during the 2010-2011 school year, with Korir beating his fellow Kenyan three times. That was enough to give the nod to Korir, ending Chelanaga’s bid to become a 3-time AOY! Championships(Chelanga-2nd). They both competed the next day in the 3000, with Korir finishing 6th and Chelanga a distant 15th. They next went head-to-head at the Outdoor NCs, with Korir winning the 10,000 (Chelanga-2nd) and Chelanga winning the 5000(Korir-3rd). While those two dominated the voting, others also performed well in 2011. Robby Andrews won his 2nd NCAA 800 title and once again anchored Virginia to victory in the 4x800 at Penn. Virginia Tech’s Alexander Ziegler won the NCAA hammer throw and was 2nd in the weight throw indoors. Princeton’s Donn Cabral was 2nd in the NCAA steeple and was an All-American in X-Country.